Posted 3:18 pm, Sep. 21, 2018. 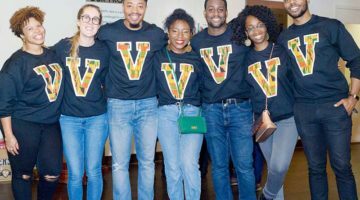 Vanderbilt Business unites personal scale and a close community with the opportunity for international immersion experiences all around the world (and often for course credit). 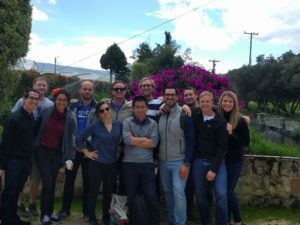 Below, we’ve highlighted five international trip opportunities that MBAs can take advantage of during their two years at Owen. In addition to these trips, many students also use the breaks between Mods to travel independently on their own either in place of or before/after these school trips. To learn more about the Mod system and how it works, click here. Every fall, the Global Business Association (GBA) partners with another student organization at Owen to coordinate a trip during the week-long break between Mods I and II in mid-October. In 2017, GBA worked with the Latin Business Association on a trip to Colombia, and this year it’s collaborating with the Japanese Business Club on a much-anticipated trip to Japan. The course is no longer for credit, and it includes some company visits as well as plenty of sightseeing. 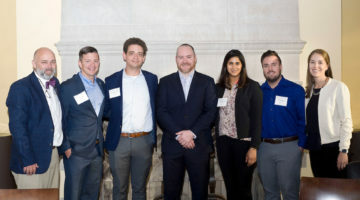 Mark Cohen, Justin Potter Professor of American Competitive Enterprise and Professor of Law, teaches this two-credit project course each spring. Teams have occasional meetings during Mods II through IV, but the bulk of the work occurs during the trip to Israel itself, which takes place during the week-long spring break between Mods III and IV in early March. Students work on consulting projects for companies in Israel and then actually meet with the businesses during the trip, and of course take in the many historic and cultural attractions in the country as well. Ray Friedman, Brownlee O. Currey Professor of Management and an expert on doing business in China, leads this trip as well as the “Doing Business in China” course. While the trip and the course can be taken separately, they are complementary and many students do them both. The course is offered every year in Mod II, but the China trip is only offered every other year and will next take place in 2020. As with the Israel trip, students work on consulting projects for Chinese companies and use the trip to meet with their contacts on the ground as well as sightsee. 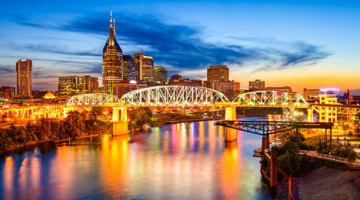 Project Pyramid is an interdisciplinary course open to all graduate students at Vanderbilt University and supported by the Turner Family Center for Social Ventures. The course examines the causes and symptoms of poverty and varying methods of poverty alleviation as students work with social enterprises around the world. Classes are taught by professors Bart Victor and Jim Schorr and take place in both Mods III and IV in the spring. Students use the spring break in between Mods to travel to their partner organizations in other countries; last year, various student teams visited Guatemala, Colombia, Ethiopia, and Rwanda, though the locations do vary from year to year. 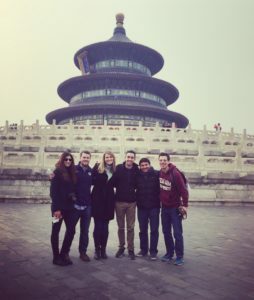 Students looking for an even more immersive experience can consider one of the exchange programs offered in conjunction with partner universities. A shorter “Maymester” exchange program allows students to spend two weeks abroad in Germany, Vienna, or Chile in May before internships start in June, all without missing any time at Owen. Longer exchange programs that take place during the spring or fall of the second year can also be arranged with partner universities.